UGH!! I had this written and ready to post last night and forgot to post it. Dang it. Sorry. Another Wedensday, another WIPs post. 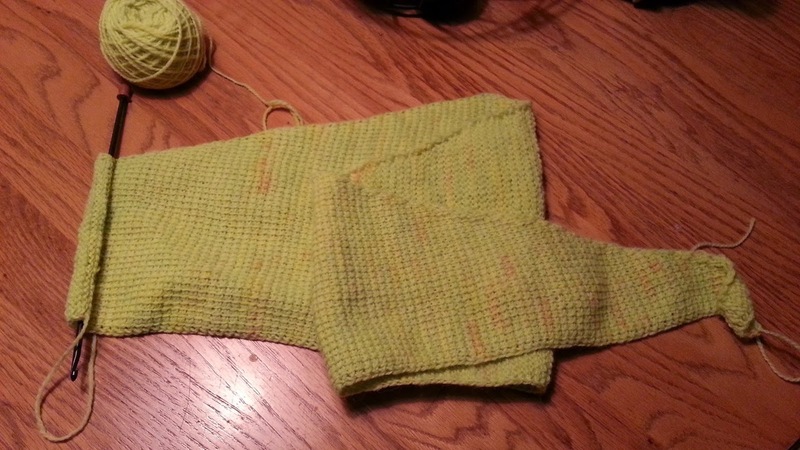 My scarf is coming along, I'm very close to done! I need to get the gift blanket back out again and start working on it more. It's the plan for this winter for sure. Man, out side of that there really is not much going on at theonlyhouse. Gearing up for colder weather and the holidays and that's about it!!! I hope everyone else is well! Much love.